Use this space to tell us what highway you wish to adopt. You may also include any other important information such as alternate contact information. 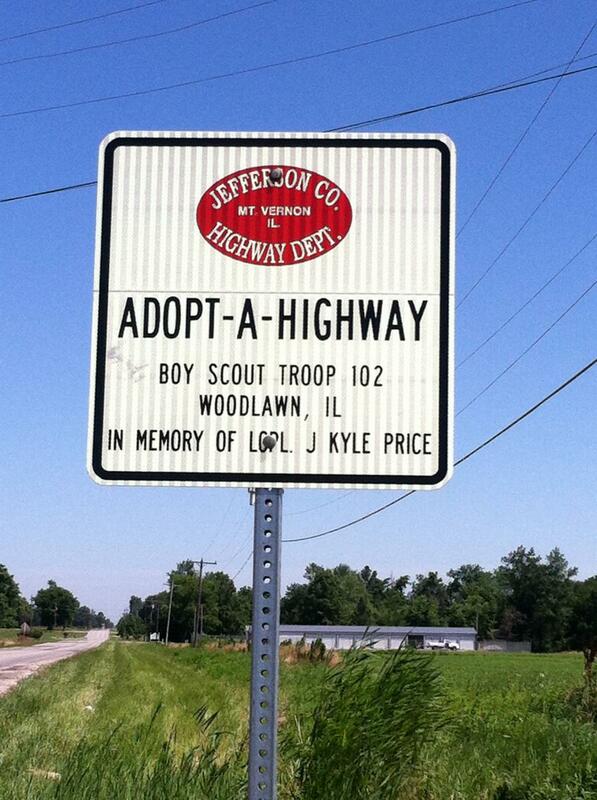 The Jefferson County Adopt-A-Highway Program began in 2011 in order to encourage organizations and individuals to assist in keeping Jefferson County roadways free of litter. The Jefferson County Highway Department provides all safety vests and bags for litter pickup. Any organization or individual interested in participating should contact the Jefferson County Highway Department at 618.244.8031.